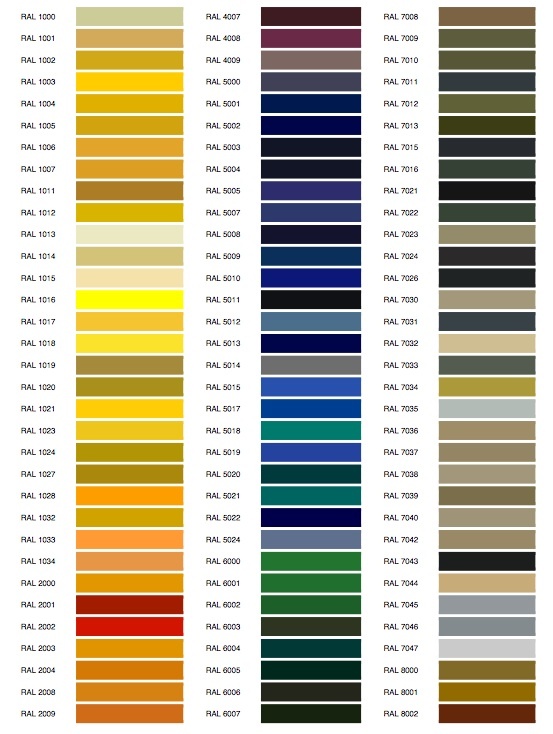 Cualquiera de nuestras puertas se pueden fabricar en : CUALQUIER ACABADO ¡Importante! Any of our gates can be manufactured at: Important ANY FINISH! PRODUCTOS : PUERTAS , FRENTES , REGLETAS , CORNISAS , PORTALUCES , BALDAS , GALERIAS PARA MUEBLES DE COCINA ,BAÑO , ARMARIOS EMPOTRADOS , SALONES Y OTROS . 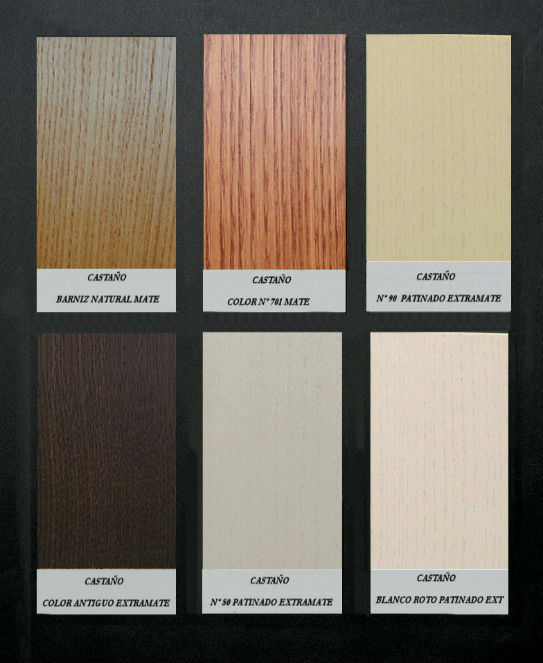 PRODUCTS: DOORS, FRONT, STRIPS, CORNICES, bearers, SHELVES, GALLERIES FURNITURE KITCHEN, BATHROOM, CLOSETS, AND OTHER ROOMS. 1 MATERIALES: AGLOMERADO CHAPEADO CON CHAPAS DE ROBLE , HAYA , CASTAÑO , MAPLE , CEREZO , NOGAL . 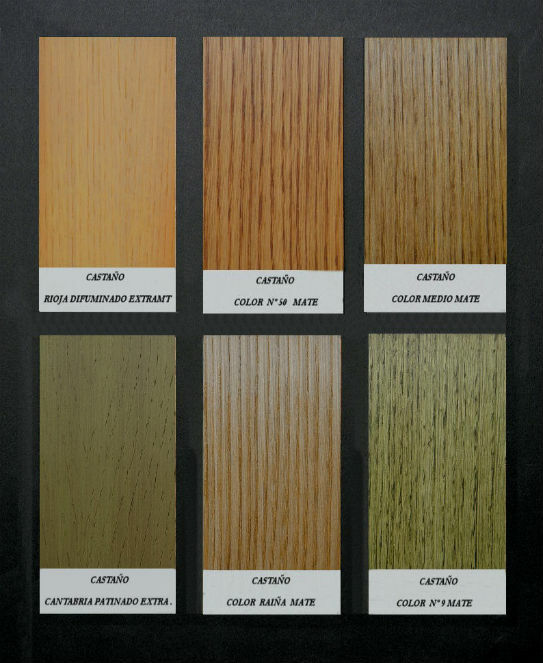 PINO , ROBLE PREFABRICADO , TEKA , EBANO , CEBRANO Y BAMBU . 2 CONTRACHAPADO DE ABEDUL Ó TABLERO MULTICAPA CHAPEADO EN LAS MISMAS CHAPAS QUE EL AGLOMERADO . PRODUCTOS : PUERTAS , FRENTES , REGLETAS , TABLEROS , COSTADOS , CORNILUCES PARA MUEBLES DE COCINA , BAÑO , SALON Y ARMARIOS EMPPOTRADOS . ESTILOS : MODERNO Y VANGUANDIRSTA . ACABADOS : LOS MSMOS QUE PARA LA LINEA DE MACIZOS . 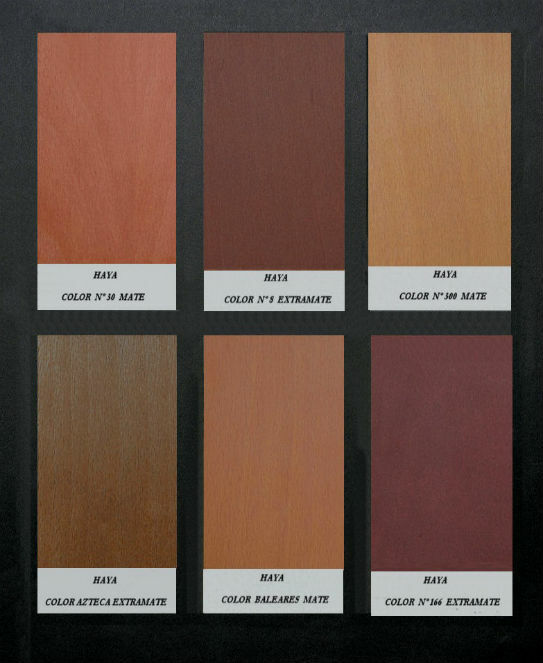 1 MATERIALS: AGLOMERADO PLYWOOD PLATES WITH OAK, BEECH, BROWN, MAPLE, CHERRY, WALNUT. 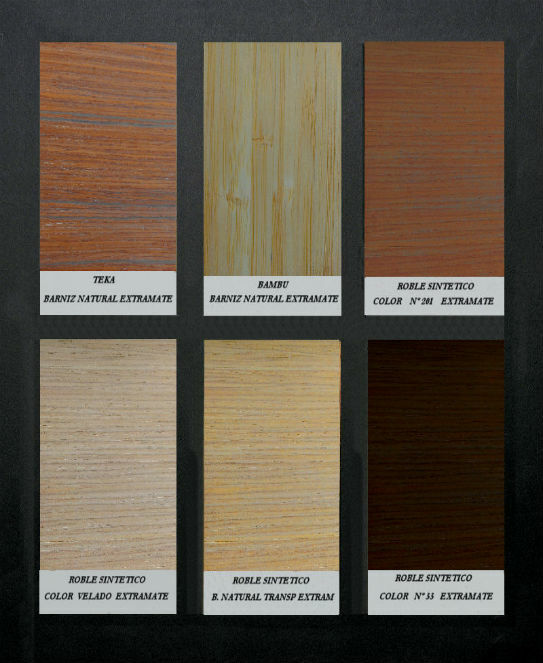 PINE, OAK PRECAST, TEAK, EBONY, AND BAMBOO Zebrano. 2 BIRCH PLYWOOD OR MULTILAYER BOARD PLYWOOD SHEETS IN THE SAME AGLOMERADO. PRODUCTS: DOORS, FRONT, STRIPS, BOARDS, SIDES, CORNILUCES FURNITURE KITCHEN, BATHROOM, LOUNGE AND FITTED EMPPOTRADOS. FINISHES: MSMOS THAT THE LINE FOR SOLID. PRODUCTOS: PUERTAS , FRENTES , REGLETAS , TABLEROS , COSTADOS , CORNILUCES PARA MUEBLES DE COCINA , BAÑO Y ARMARIOS EMPOTRADOS . ESTILOS: MODERNO Y VANGUANDIRSTA . ACABADOS: MATES , SEDA , TEXTURIZADOS , METALIZADOS , EFECTOS ESPECIALES , BRILLO DIRECTO Y ALTO BRILLO PULIDO ( 7 MANOS ). PRODUCTS: DOORS, FRONT, STRIPS, BOARDS, SIDES, CORNILUCES FURNITURE KITCHEN, BATH AND CLOSETS. 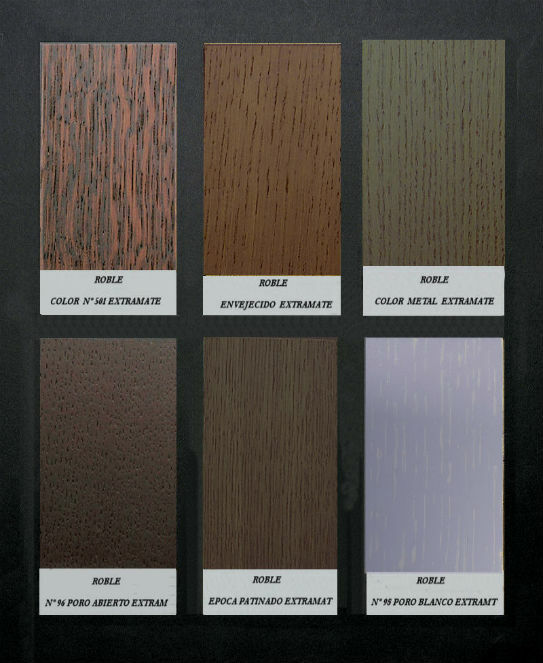 FINISHES: MATES, SEDA, TEXTURED, METALLIC, SPECIAL EFFECT, DIRECT HIGH SHINE AND BRIGHT POLISHED (7 HANDS). Cualquiera de nuestras puertas Lacadas se pueden fabricar en : CARTA RAL ¡Importante! 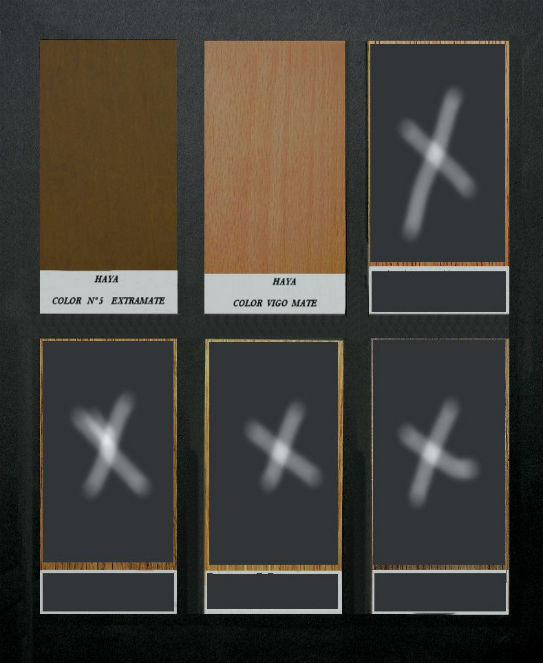 ESTA TABLA ES UNA APROXIMACIÓN DE LOS COLORES RAL. 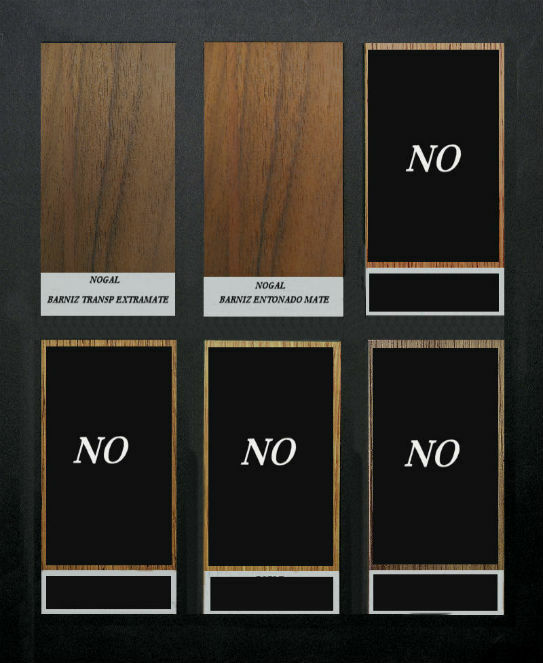 Any of our Lacquered doors can be manufactured at: Important RAL LETTER! 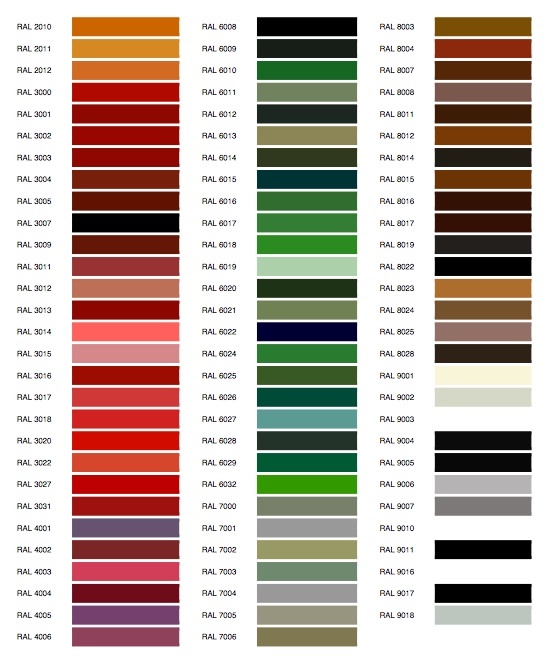 THIS CHART IS AN APPROACH OF COLORS RAL. FULL SEE A LETTER RAL. TABLERO HIDRÓFUGO CUBIERTO CON PAPEL MELAMINICO . PRODUCTOS: PUERTAS , FRENTES , REGLETAS , COSTADOS Y TABLEROS PARA MUEBLES DE COCINA , BAÑO Y ARMARIOS EMPOTRADOS . ESTILO: LISO Ó A CUATRO CANTOS . ACABADOS: BRILLO Ó MATE EN DIVERSOS COLORES PARA EL ALTA PRESIÓN . LISOS , MATES , GOLPES DE CUCHILLA , TEXTILES Ó RUGOSOS PARA LAS MELAMINAS . BOARD COVERED WITH WATER REPELLENT melamine paper. 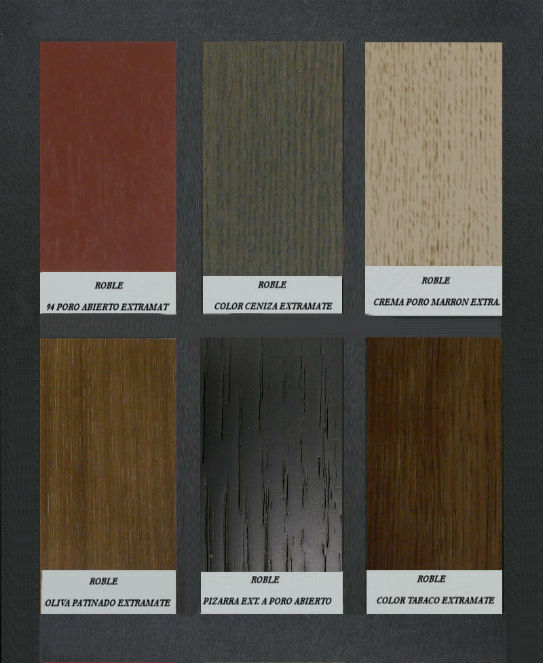 PRODUCTS: DOORS, FRONT, STRIP, AND SIDE PANELS FOR KITCHEN, BATHROOM AND WARDROBES FURNITURE. STYLE: STRAIGHT OR FOUR SONGS. 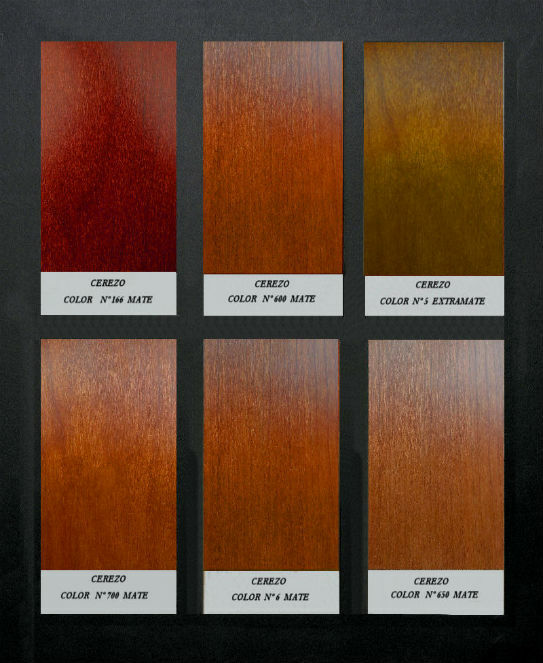 FINISH: GLOSS OR MATT IN DIFFERENT COLORS FOR HIGH PRESSURE. 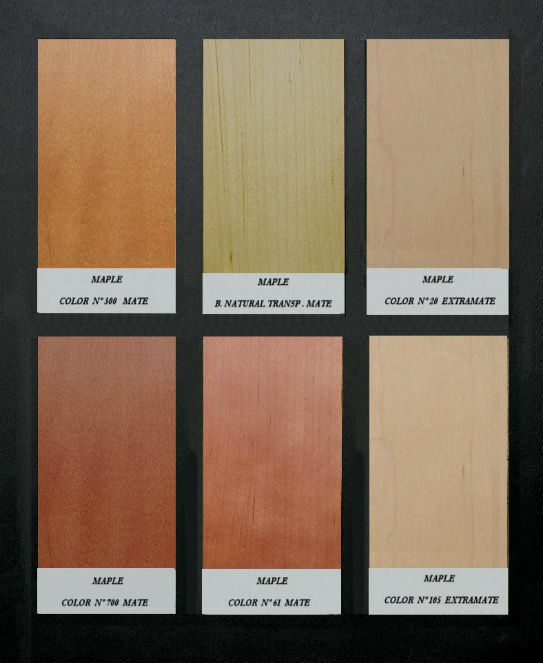 SMOOTH, MATT, SHOCK BLADE, TEXTILES OR ROUGH FOR MELAMINE. 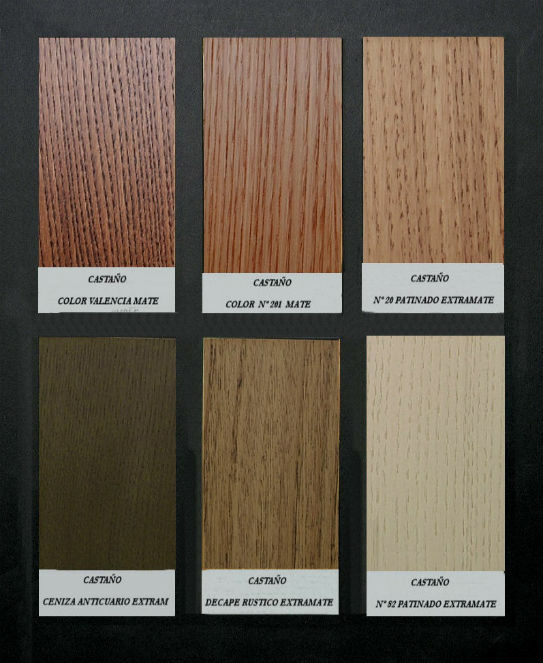 MATERIALES: MADERAS DE ROBLE , CASTAÑO , HAYA , CEREZO , MAPLE , NOGAL , PNO . PRODUCTOS: BANCOS , MESAS , SILLAS , CAMPANAS , PLATEROS , DECORATIVOS , ALACENAS , MARCOS DE OBRA , CUBREMARCOS , TAPAJUNTAS ,ETC . ACABADOS: LOS MISMOS QUE LA LINEA DE MACIZOS . MATERIALS: WOOD OAK, CHESTNUT, BEECH, CHERRY, MAPLE, WALNUT, PNO. PRODUCTS: BENCHES, TABLES, CHAIRS, BELLS, SILVERSMITHS, DECORATIVE, cabinets, FRAMES WORK, CUBREMARCOS, FLASHING, ETC. FINISHES: THEM TO SOLID LINE.